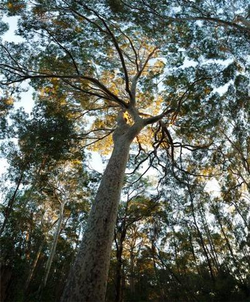 Forestmedia is a non-profit organisation that raises public awareness of the importance of Australian native forests, woodlands and other ecosystems. - The need to preserve and value all native species fauna and flora especially those faced with extinction through land clearing, logging and woodchipping, development and predation by feral animals. - The importance of native forests in decreasing CO2 emissions and helping prevent climate change. Forestmedia engages and educates the general public and decision makers through the running of events, especially those that involve the arts and culture. Forestmedia works with individuals, groups and organisations to achieve its aims. Forestmedia uses forms of communication including the broadcast and electronic media, print media, film,video, and radio. Save habitat and save wildlife. Native animals and development dont mix!